So many of us struggle silently amidst an outwardly seemingly perfect life. We smile, we laugh yet our hearts are quietly breaking. How is it that we don’t fall apart? It’s a miracle most days to make it to the end without giving up. Many days it’s amazing we don’t quit the game all together. Few would blame us if they knew our private struggles. And yet, we struggle on, doing the best we can. We have not been left here to fix our brokenness all on our own. There is help and hope for each of us within our darkness and despair! 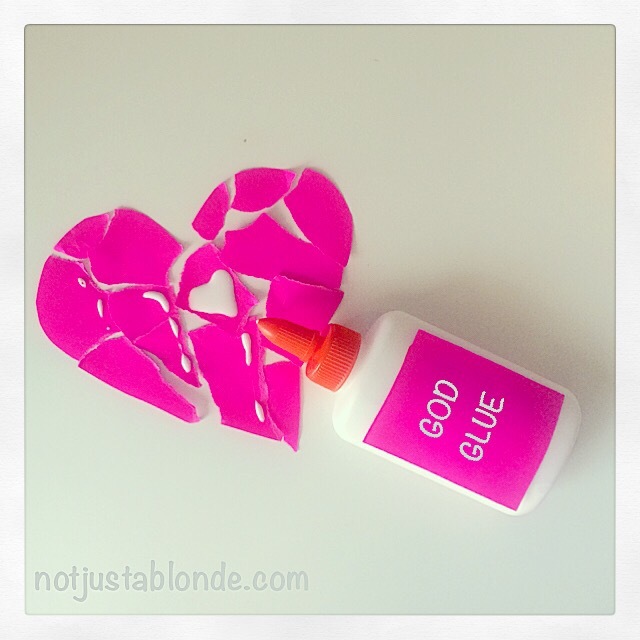 Amidst the crumble of our breaking hearts God provides the glue. He takes the pieces in His hand and holds us together with His Love. Beautiful! I needed to hear this this week!! Thank you and God bless!! Thank you for sharing this. Very good!